As workers of the former Karuturi flower farm in Naivasha, Kenya, await the outcome of a new appeal of the long-running court case and receivership, the Karuturi Group held an AGM in India and passed new resolutions to turn round the company. The Bombay Stock Exchange-listed Karuturi, the world’s largest producer of cut roses, had published an annual report ahead of the AGM. According to the notice and results of the AGM, the Group proposed to increase the authorized share capital of the company to meet their long-term capital requirements. Karuturi also plans to allocate convertible warrants to new shareholders who are; IBelive Fitness Solutions who may end with 10% if they exercise all options, Eye-3 Info Media who may end with 8% and Srinivasa Retail who will end with 14.3%. Prior to the AGM, the three had no shares in the company while the promoters of Karuturi had 25% and other public shareholders had 75%, including Deutsche Bank with 5%. Shareholders also voted to appoint Messrs K G Rao and Co as auditors of the company and the notes showed that the previous year’s figures had not been audited by the current year auditors who had then provided a qualified opinion due to non-filing of some tax returns by the holding company. Another resolution was to ratify the appointment of the daughter of the Chairman and MD Sai Rama Karuturi, who had joined the board in September 2017. The resolutions were all passed. The company has primary borrowings with Axis Bank in India (third largest private bank in the country), ICICI Bank of India, Axis Dubai, and smaller borrowings at the Commercial Bank of Ethiopia, Zemen Bank and Lion Bank in Ethiopia. In a statement, the Board Chairman wrote that the Kenya farm should soon be back in the company’s possession following workers’ protests to various government authorities and media attention fueled by Kenyans on Twitter. On Ethiopia, he welcomed the new leadership of Prime Minister Dr. Abiy Ahmed and mentioned that the company had withdrawn all cases against the government of Ethiopia, paid compensation to the workers, and entered new lease agreements with a view to resuming operations in mid-2019. This entry was posted in AGM, CFC, CFCStanbic, Corporate governance, Ethiopia, Horticulture, ICICI, India, Karuturi and tagged Floriculture on October 9, 2018 by bankelele. As part of the continued restructuring since CDC invested in the company in 2016, ARM Cement is selling its non-cement subsidiaries for $16 million to reduce the debt of the company and strengthen its position in its core cement business. A shareholder’s extraordinary general meeting on January 22 is expected to green light the disposal of its industrial minerals business, fertilizer business (to Mavuno Fertilizer), its silicates business to ARM Energy and its mining business to ARM Minerals. ARM Minerals and Chemicals (will be 100% owned by 100% by Mavuno fertilizers), which will be 51% owned by Omya (Schweiz) AG and 49% by Pinner Heights Kenya. ARM Energy: will be 100% owned by Pinner Heights Kenya. 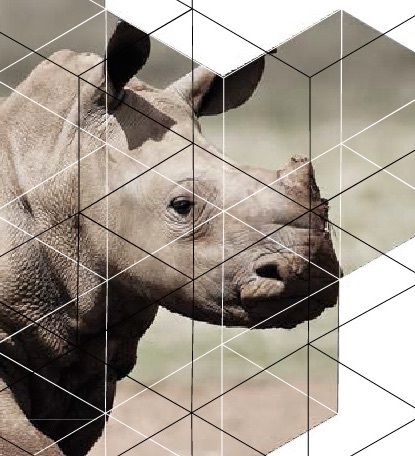 Pinner Heights is owned by a trust set up for the benefit of ARM’s long-time Managing Director and key man, Pradeep Paunrana who owns 11% of ARM Cement, and his immediate family. A leasing company Vaell has sought an injunction stop the transactions and repossess vehicles leased to ARM Cement, but ARM has objected in court as the assets are not part of the non-cement business being sold. Elsewhere, a UK firm Exotix has issued a warning on Kenya cement company valuations with the view that the listed cement companies are overvalued due to high prices of clinker, foreign exchange losses and exposure of Kenyan companies to cheaper imports unlike their peer companies in neighbouring countries. Exotix recommends price downgrades of Bamburi Cement (by 2% from the current share price of Kshs 180), ARM Cement (by 22% from Kshs 13) and East African Portland Cement Company (by 32% from Kshs 27). This entry was posted in AGM, Athi River Mining, CDC, NSE investor awareness on January 9, 2018 by bankelele. 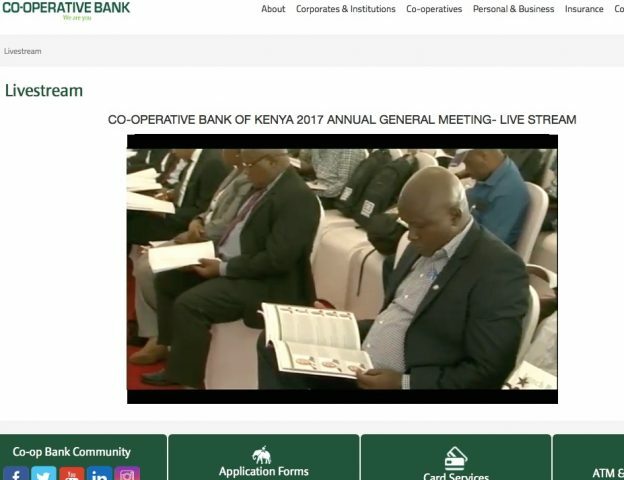 Last week brought news that Co-Operative Bank had a new Chairman – John Murugu, who has previously worked at Treasury and CBK, is to take over as chairman on October 1, 2017, replacing Stanley Muchiri who is retiring after attaining the mandatory age of 70. The age of seventy as a cap for directors to serve on corporate boards has been paid lip service, until recently. But this year has seen prominent septuagenarians (70+ years) exit from financial firm boards including Peter Munga as Chairman at Equity Bank Group, Francis Muthaura as Chairman of Britam Holdings and now Mr. Muchiri who joined the board of Cooperative in 1986 and became Chairman in 2002. There could even be one more at Centum Investments with regard to top shareholder and director, Dr. Chris Kirubi who is also a former Chairman of the firm. 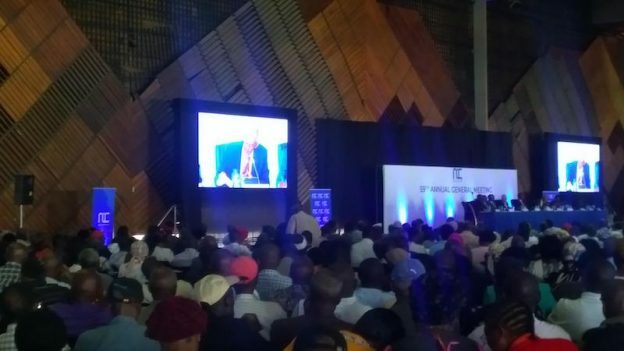 Dr. Kirubi was re-elected to the board in 2015, but the Centum AGM next week, where three other directors – Dr. Jim McFie, Henry Njoroge, Imtiaz Khan, all retire from the board, has an oddly-worded resolution – “Director above the age of 70 Years” Pursuant to paragraph 2.5.1 of the Code of Corporate Governance Practices for Issuers of Securities to the Public 2015, to approve the continuation in office as a Director by Dr. Christopher John Kirubi, who has attained the age of seventy (70) years, until he next comes up for retirement by rotation. Auditors now narrate in the annual report to shareholders on key audit matters they encountered the company. The status of Independent directors shall be checked annually, and they must not be associated by way of being an advisor to the company, or having a relationship – business or personal, with major shareholders or have cross-directorships with other directors. A director of a listed company (except a corporate director) shall not hold such position in more than three public listed companies at any one time. Independent directors can’t serve for more than nine years. That a comprehensive independent legal audit is carried out at least once every two years by a legal professional in good standing with the Law Society of Kenya. The Chairperson must be non-executive and not involved in day-to-day running of the business ( e.g. there wide expectations that Michael Joseph would play such a role as Kenya Airways chairman). Publication of director resignations in the newspaper. More engagement with institutional investors and media. This entry was posted in AGM, Auditors, CMA Kenya, Corporate governance on September 22, 2017 by bankelele. Kenya Airways (KQ) held an EGM – extraordinary general meeting of its shareholders today in Nairobi. KQ Chairman, Michael Joseph opened the KQ EGM with a statement that this was essential to the future of the airline, as it restructured their debt and reduced their cash payments. He cited the origin of the airlines’ problem as the fleet expansion, ordering new planes back in 2005, that arrived later than expected, and soon after there were issues like terrorist attacks, economic decline, Ebola and the airport fire. This was at a time that there were a lot of state-owned Middle East airlines allowed to Nairobi who did not have a profit motive and who undercut their KQ’s prices. He said the board had made responses such as offloading some aircraft to leases till the situation improved and they had also hired Sebastian Mikosz as CEO, who is a turnaround specialist. The Michael Joseph factor: Shareholders seem to have a lot of faith in Michael Joseph as a person to lead the turnaround. This is because of his legacy at Safaricom; he himself admitted as much in the challenge ahead of him, but he said that turning around KQ was much more complicated than Safaricom. What Went Wrong? When it’s not clear what happened, Kenyans typically assign blame to corruption or mismanagement and several shareholders ask about a forensic audit query that had been done at KQ. Joseph said they had not forgotten the forensic audit, and he was going to clean the airline; he said that action had been taken with staff several dismissed or in court (He said justice was slow in the country cited a case where the former CFO had sued the airline and that case had not been heard a year later). Payment to advisors; This came up several times and the figure cited was Kshs 1 5 billion. Joseph said the payment was a lump sum figure for the many advisors engaged in the complex restructuring deals. He cited Mckinsey as one case he was not happy and which had been terminated. Others were international competitively sourced and they had negotiated them down but had to pay. Management ownership and staff pay: Shareholders asked the board and management to show commitment, by becoming shareholders. Joseph said he was a big investor at Safaricom and the KQ restructuring had an employee share ownership plan (ESOP) as part of the ownership plan, while disclosures about directors shareholdings would be forthcoming. Another shareholder asked the board and management to take a pay cut in line with what was expected of other employees. 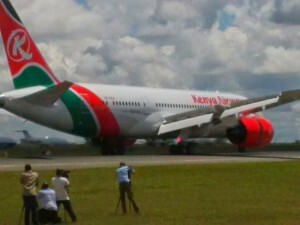 Role of Government: Joseph said that the Government had allowed many new foreign airline flights to Kenya and that whenever the president visited abroad, other presidents asked if their airlines can fly to Kenya, or the tourism minister allows them to fly tourists to Mombasa – forgetting about KQ. Part of their future engagement with government will be on licensing of other airlines. On a question about nationalizing the airline, Joseph said that this had been ruled out and that KQ would remain a public company. Banks left out to dry: Some shareholders asked if the banks agreed to the conversion? Banks lend depositors money to get it back and not for shares – and do not take KQ’s problems to other banks where this will make us miss dividends. There is a court case brought by some banks that will be ruled on August 10. Fleet and performance CEO Mikosz spoke about monitoring the perception created in media about delays and cancellation at KQ and which unfairly gave the airline a bad impression. He said that flying 160 flights per days you expect 2-5% are expected to have some delays and this was standard in the aviation industry, but their stats were good. Minority shareholders: Several minority shareholders said they had voiced issues at past AGM’s about high ticket prices, low dividends, and other issues who had been ignored and who were told that the airline was alright. Michael Joseph said he was an independent director and he and others were there to look out for minority shareholders. Shareholders at the KQ EGM unanimously voted for the lengthy balance sheet restructuring that was done in a single vote. Another circular will be issued with terms for shareholders investing afresh in the airline. The next meeting will be a regular shareholder’s AGM on September 21. KQ EGM swag: transport to/from town, t-shirt, packed lunch by NAS. This entry was posted in AGM, Corporate governance, corruption, ESOP, Kenya Airways, Kenya economic growth, Kenya parliament, McKinsey, NSE investor awareness on August 7, 2017 by bankelele.